Enjoy a relaxing afternoon getting to know like-minded ladies and gentlemen over tea/ coffee and a slice of cake. Make it an unforgettable afternoon with new friends! Price includes choice of beverage with cake, facilitation, secret admiration (if there is a mutual match, contacts will be released to both participants) and matching. This is a segmented event for gentlemen and ladies 30 years old and above. Spark Connections 50% discount applies. Key in promotion code SDN50 on the event signup page. For more details, click here. 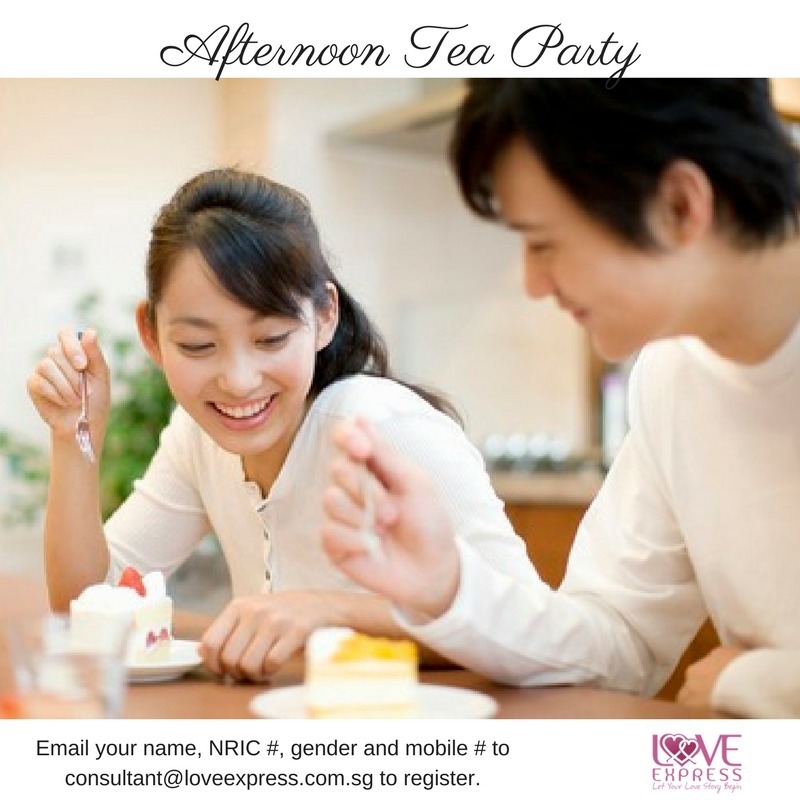 Email registration: You can also register for event via email to consultant@loveexpress.com.sg with your name, mobile number and event name.